FFS Screening Date, Venue and Time 2018- This post as the title is to inform all applicants of the 2018 FFS screening exercise date, venue and required documents for the federal fire service recruitment screening exercises. If you applied for the FSS recruitment 2018 and you have printed your FFS INVITATION LETTER from the CDFIPB portal, then you need to know the next thing to do, the requirements that will be need for a successful FFS screening exercise. It is your interest to note that the CDFIPB recruitment board has released the Fire Service list of all shortlisted candidates. And we are pleased to inform you that the screening exercise and document verification of all successful shortlisted applicants will commence this month all things been equal. 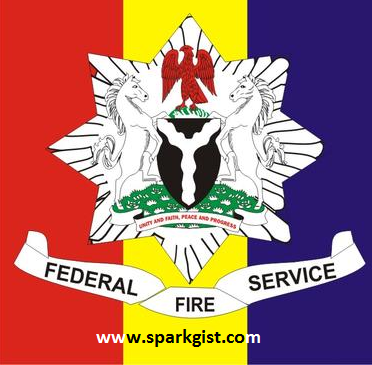 1 FFS Physical/Aptitude Test Screening Exercise date Venue and Verification Requirements 2018. “Following your application for the 2018 FFS recruitment, the Civil Defence, Fire, Immigration and Prisons Services Board (CDFIPB)is pleased to inform you that you have been shortlisted and invited to participate in the physical/aptitude test and documents verification exercise. Please check your e-mail for details”. Whether you have receive SMS or not or you want to know you FFS status, kindly visit www.cdfipb.careers using your email and application Id to print out your Invitation letter. All candidates are advised to adhere strictly to the dates scheduled, and you are to report to the centre where your state of origin falls. For those who have not received SMS or if you get this message “Applicant Unsuccessful” while entering your email and Application ID on the CDFIPB website, advise you keep trying it. FFS Physical/Aptitude Test Screening Exercise date Venue and Verification Requirements 2018.